On our way back from Nigeria, we had a 12 hour layover in Accra Ghana. We spent a night in a hotel a few miles from the airport (Airport View Hotel). The staff were very nice and helpful. The front desk clerk saw to it that we made it on time for our flight the next morning. Breakfast was complimentary and there was free shuttle service to the airport. Oh, did I mention the internet access was free too? We didn't get to do much exploring in Accra, but between the airport and hotel, I noticed that the street lights worked and people actually obey them. Note to my fellow Nigerians, especially those in the hospitality business, we could stand to learn a few things from Ghana about courtesy, service and going the extra mile. While in Abuja, we paid twice the amount for a fraction of the service during our stay at the Rockview hotel. As I prepare for my trip to Nigeria, I am excited about all the possibilities that lay ahead. It will be a great time for the kids to reconnect with my parents and to meet their other grand parents for the first time. They will also be meeting cousins and other relatives, I know they will have a blast. Our other mission in going to Nigeria is to meet the Women's cooperative that we will be working with. Salome, the coordinator of the cooperative has a full itinerary planned for us. Salome is a certified trainer and coordinator by WATH (West African Trade Hub) on the best practices for producing quality shea butter for the international market. We will be visiting the Shea producing areas in Western Nigeria (Shaki, Oyo State) and Northern Nigeria (Nassarawa, Nassarawa State). We will be observing the various stages of shea butter production from the nut gathering, sorting and processing. During our trips we will have opportunities to spend time with the women and get a feel for what their lives are like. Our close relationship with this cooperatrive is intended to be mutually beneficial. Our goal is to obtain the best quality shea nuts to be crushed using a mechanical expeller. We want the nuts to be sorted and graded and free from mold. To this end, we will support the cooperative by ensuring that Fair Trade standards are strictly adhered to. I love African Abada print. It is rich, vibrant and beautiful. In West Africa, being beautifully attired is relatively easy on almost any budget. Once you have the right fabric, you can get a dressmaker to customize and fit you with whatever style your heart desires. The dressmakers skills and your imagination are the only limits. 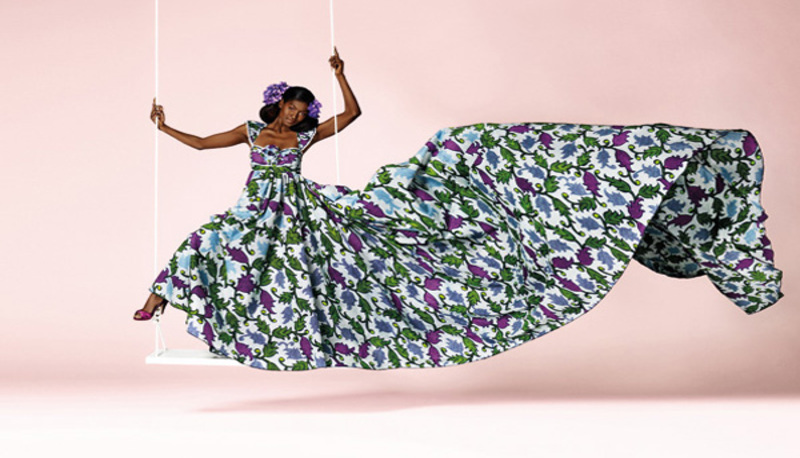 These gorgeous prints are produced in Africa, Asia and Europe. They vary in quality and price depending on where and how they are produced. 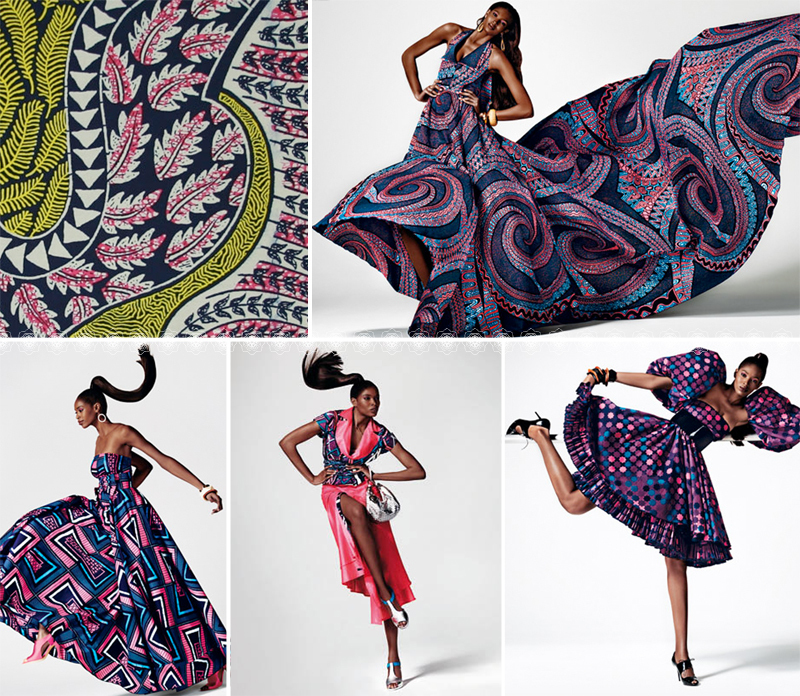 The prints displayed below are by a Dutch Company, Vlisco, that has been producing this fabric for decades. It is kinda sad that the raw material for our native attire is sometimes imported from other countries. West African designers are pretty fierce when it comes to African fashion as you can see from the images below. Can't wait for my next trip to Nigeria. I will be armed with fabric and looking for a dress maker to get me outfitted. I have always marveled at the diversity of beauty in Africa especially among our women. There are many beautifying techniques employed by African women to make them stand out. 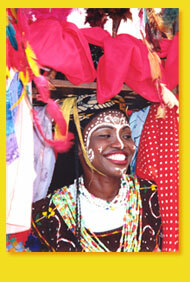 Face painting is practiced in many parts of Africa. 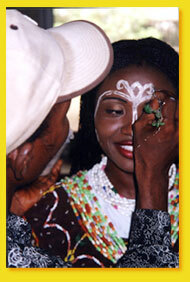 According to Maobong Oku, among the Nigerian Efiks for example, face and body painting symbolizes purity and love. In modern day Nigeria, face painting is relegated to special occasions such as when the women prepare to do the traditional dances. The Efik traditional dancers are known as the Abang dancers. The Abang dancers wear face paint as an expression of beauty, femininity and love. 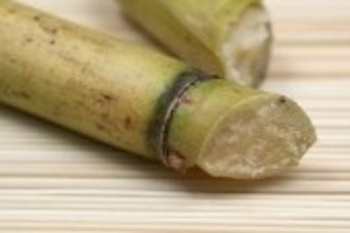 Has anyone had the joy of chewing on a sweet juicy sugar cane? 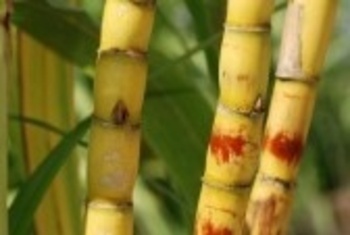 Instead of candy, my mother would tell us to go chew on some sugar cane. She claimed it was better for our teeth than candy.